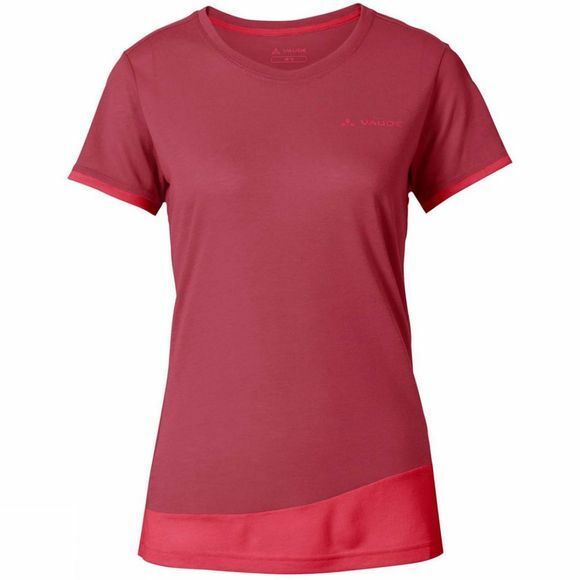 Looks good and feels even better: Vaude's comfortably soft drirelease Womens Sveit Shirt is a perfect all-arounder for mountain sports. 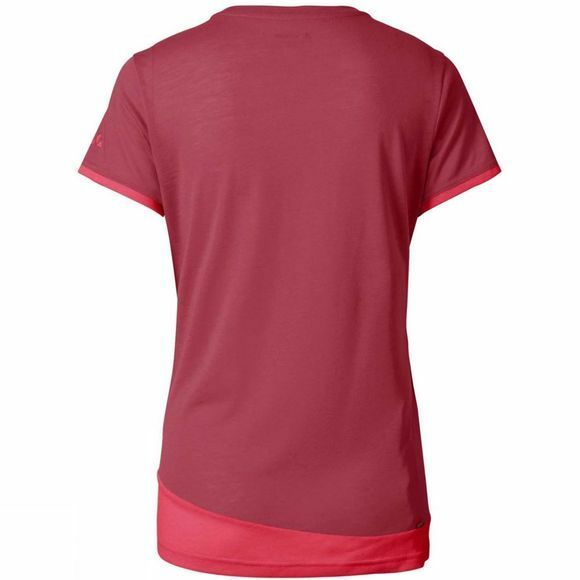 Looks and feels very much like a classic cotton t-shirt but the patented material blend of polyester and merino wool is full of function: ultra-fast drying, slightly cooling and odour resistant. wool is also a renewable resource that conserves fossil resources. Green Shape is your Vaude guarantee for eco-friendly products – made from sustainable materials and resource-conserving production.